Enter your NileDutch container tracking number below, should have format NDSU1234567, get the real-time NileDutch container status. NileDutch has grown to be in the top 25 largest container shipping companies in the world. NileDutch focus on the links between (West) Africa and the rest of the world, supporting companies as they discover the opportunities the African continent offers. NileDutch create personal connections with their customers and stakeholders, building relationships in order to discover how we can go that extra mile on our customers’ behalf. NileDutch deliver a reliable service that their customers can rely on, by striving for Operational Excellence in every aspect of our business. NileDutch listen to their customers from their network of offices around the world, answering their queries and offering solutions to any problems that may occur. If you have problem with our container tracking system, please track your container directly on the NileDutch website. If you get no tracking information from NileDutch official website, you’d better contact NileDutch. When you ship with NileDutch, you will get a NileDutch container tracking number with format NDSU1234567, NDSU is NileDutch’s prefix. NileDutch has two prefix. They are NDSU and NIDU. 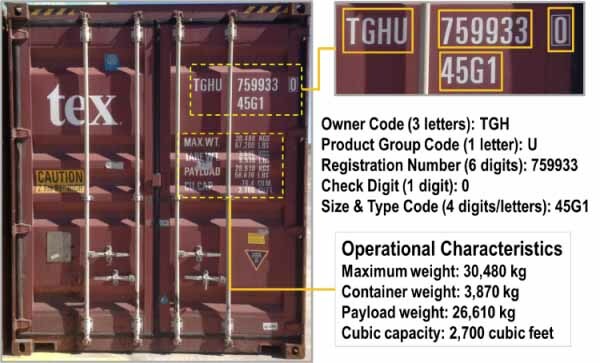 Know more NileDutch container tracking number information from below picture. If you have problem with our NileDutch Tracking system, submit your problem here, we will help you as soon as possible. Declare: We can NOT contact carrier or others on your behalf, we can only help you track your package with your NileDutch Container tracking number on official tracking system.